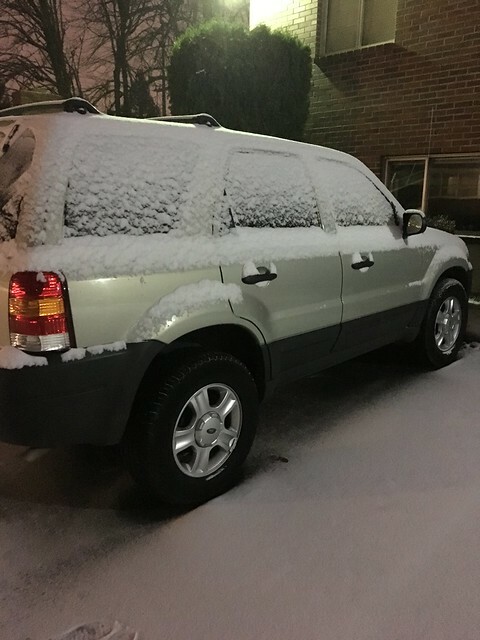 In Michigan they call this a dusting. It happened yesterday, causing commuters to spend many hours on the highways and byways of Portland and surroundings trying to get home. Drivers would abandon their cars when traffic stopped moving at all, because walking home became the faster choice. Yes, it’s quite humorous to Alaskans and Minnesotans. Long ago I learned to drive on the snowy roads of Illinois, but that helps only when I have the streets all to myself. Snow is rare in these parts so I don’t carry a snow scraper. And even if I did, I live a block from where I work and I wouldn’t work very hard to clear my icy windows. 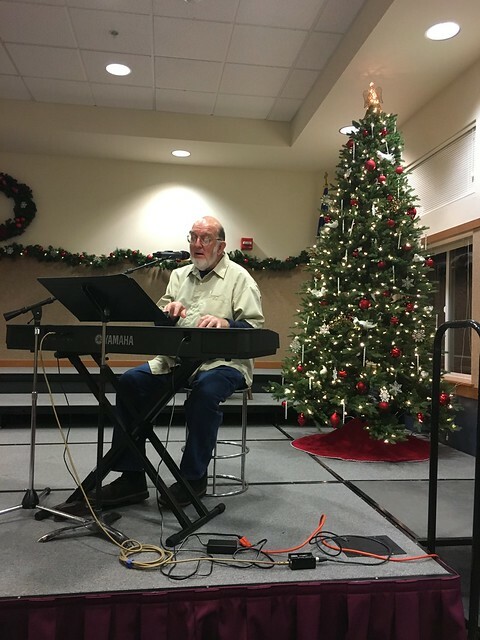 But this night I needed to drive across town to Friendsview Retirement Community, where Mauri was already setting up to lead the evening prayer meeting. I had a small part in the music and didn’t want to bail because of a dusting of snow. 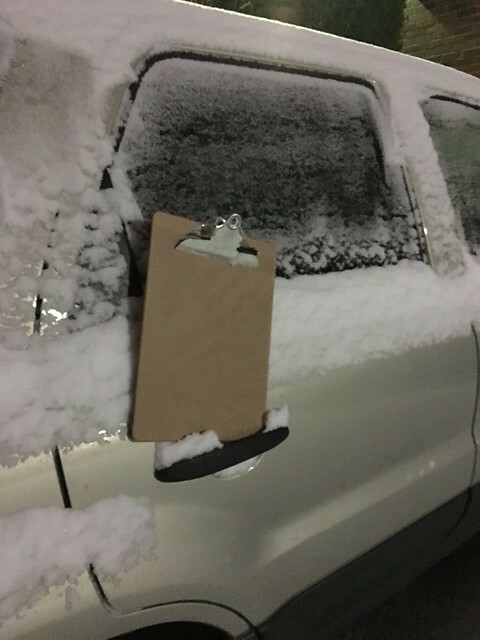 Turned out, a clipboard I keep in the car for tracking business miles was the perfect scraper! I hope Mauri never actually retires from what he does so well. Tonight I learned that Friendsview is on quarantine due to epidemic influenza. I’d better go gargle.